LONDON - Concerned about how the UK’s departure from the European Union over the next two years will impact their communities, leaders from the British Overseas Territories have agreed to form a group to focus on the whole question of Brexit. Territory leaders attended the United Kingdom Overseas Territories Association (UKOTA) Political Council meeting on Monday morning, where the BOT delegations discussed their concerns before sitting down with UK officials at the Joint Ministerial Council meeting. 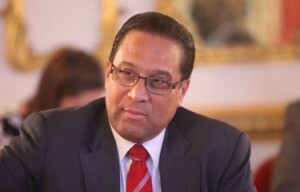 Cayman Islands Premier Alden McLaughlin said a small forum of territories was needed to deal specifically with Brexit to keep the territories’ leaders informed and ensure engagement with the UK before Article 50 of the EU’s Lisbon Treaty is invoked to begin the work of separating the United Kingdom from the European Union. British Prime Minister Theresa May has stated that she expects to formally trigger talks with the EU under article 50 before March next year. He added that he and the Cayman delegation would meet with members of the British parliament, the Foreign and Commonwealth Office (FCO) and others to discuss issues that are specific to Cayman. During her visit recent to Cayman, FCO Minister for the Overseas Territories Baroness Anelay said she was confident that Britain’s departure from the European Union would not have a detrimental impact on the territories. However, at this point no one really knows what the Brexit will mean for the UK, let alone its dependent territories. While Brexit may dominate the agenda, there are other areas of concerns for the BOTs, some common to all and some more pertinent to specific territories. Marine and maritime management, biodiversity, climate change, financial services as well as immunities and privileges are some of the concerns that are expected to be on the agenda of the JMC, which starts Tuesday and will be chaired by Anelay. During Monday’s meeting the BOT leaders also agreed that, while the Pitcairn Islands will host next year’s major pre-JMC meeting, it will take place in London rather than on the very remote and sparsely populated islands in the Pacific.